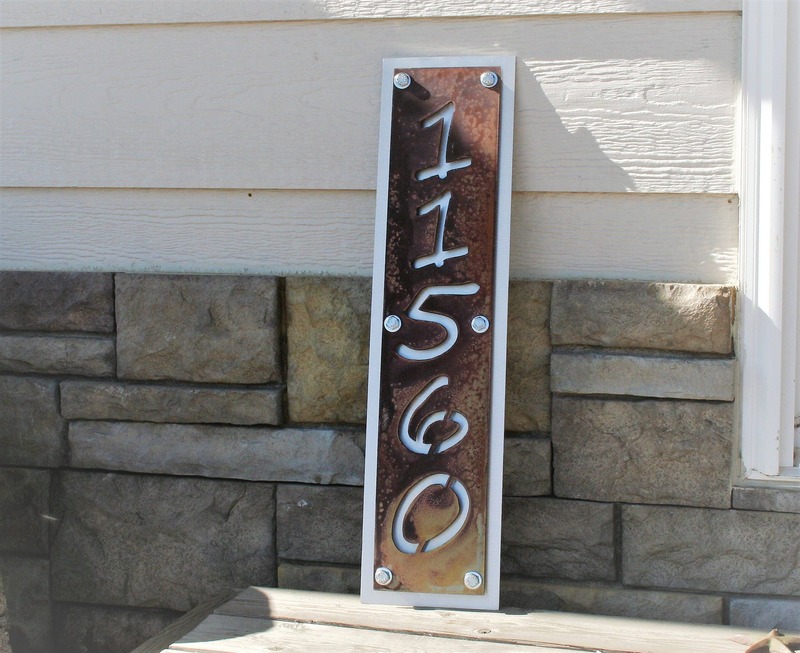 Rustic house number plaque is now available in a smaller size! 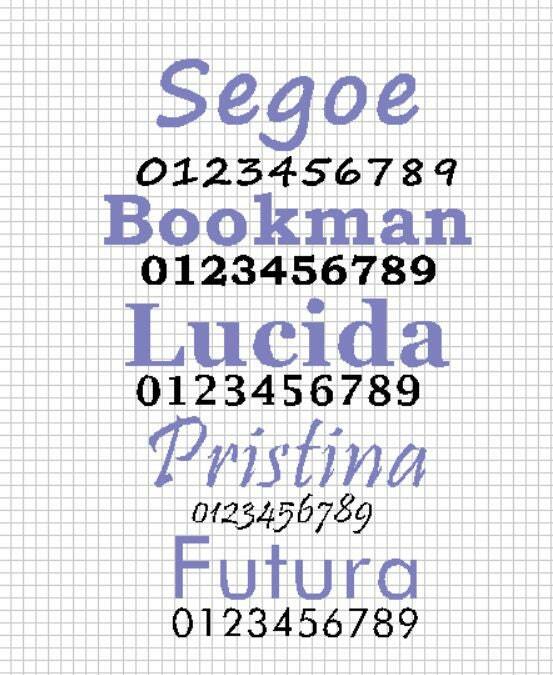 Perfect for small homes, mailboxes and posts or columns. 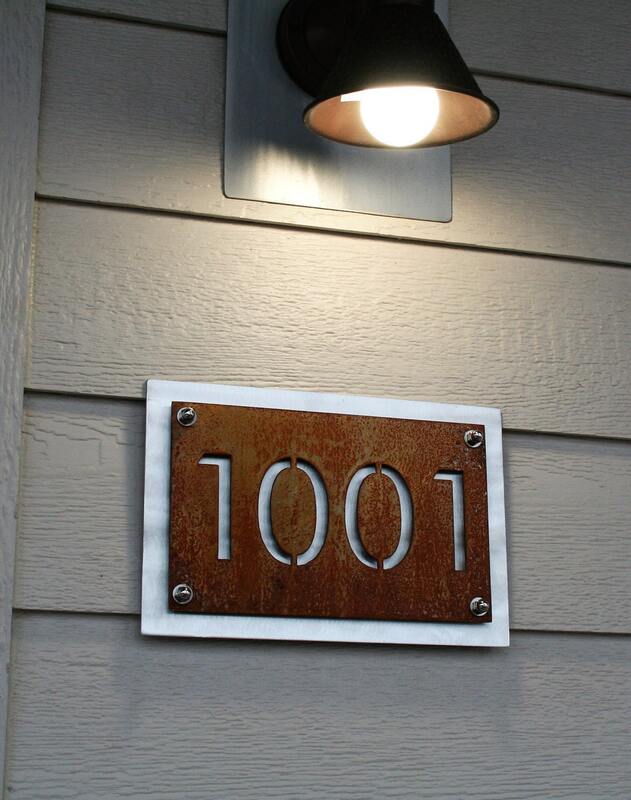 Shiny aluminum backing plate is polished for an eye-catching reflection in any light. 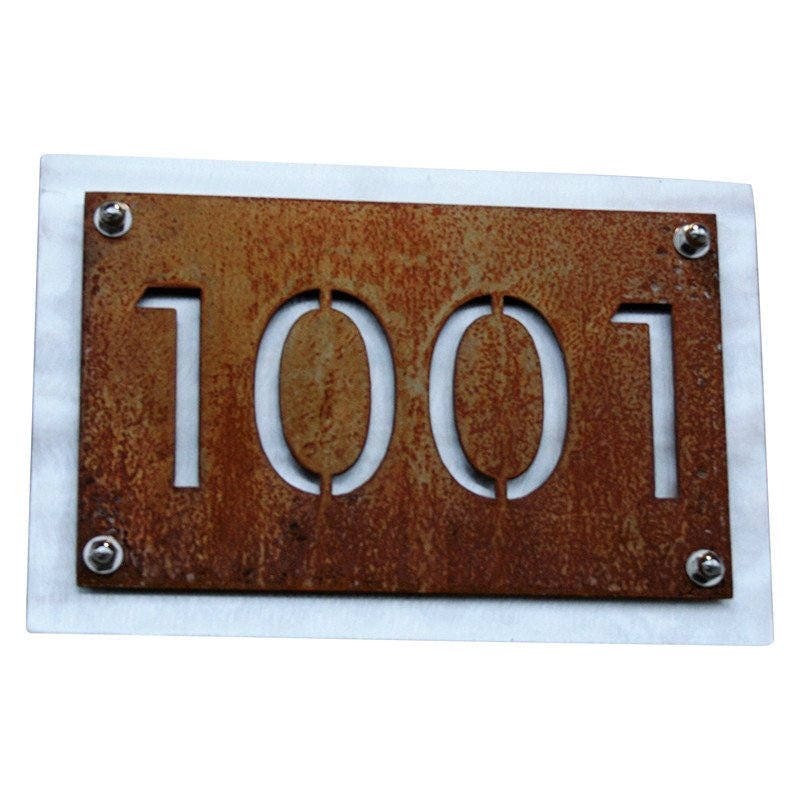 Rusted number sign is attached permanently to the backing plate. 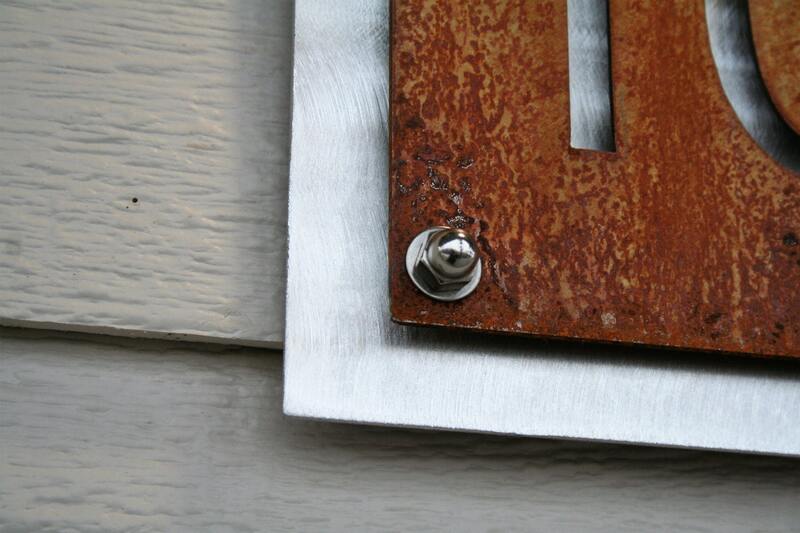 We use stainless steel hardware caps for all the connecting bolts. 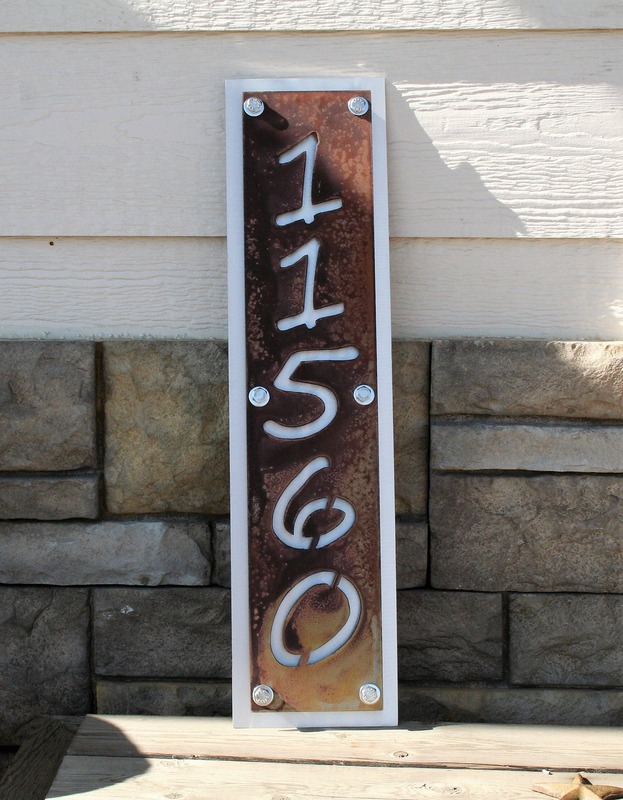 The finished hardware makes this sturdy indoor or outdoor sign beautiful as well! This is a great wedding or anniversary gift! Beautiful address plaque can be used for the wedding itself -- display it as a part of your reception décor, and then move it into your home. This listing is for small sizes only. If you would like our original listing click here for 20" and up. This is really beautiful. 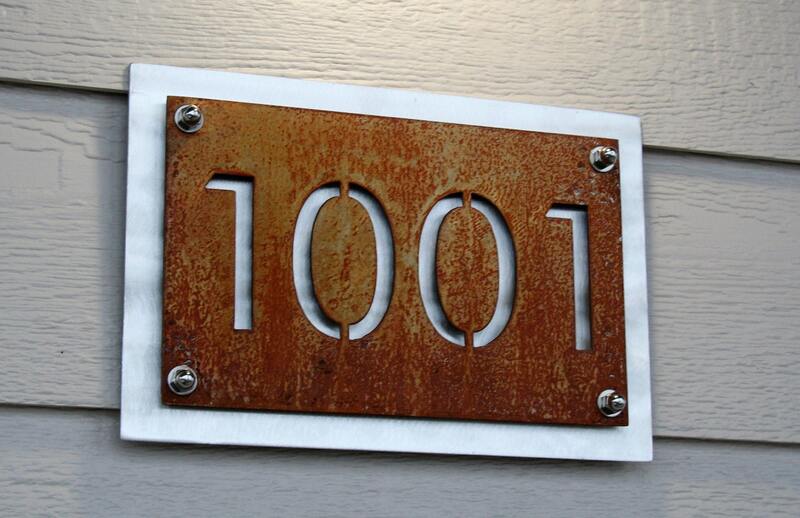 We have a 1930’s craftsman cottage and the copper number is perfectly in sync with our vintage home. The steel backing makes it pop. We love this.